Stay smart all year long with the Holly Springs School Summer Programs! Summer fun and learning at Holly Springs School! Now in our 12th season, our summer programs at Holly Springs School for Early Education go beyond mere diversion; they combat the onset of summer learning loss! We devote great time and energy into designing an adventure-filled program plan geared toward learning and growing in a safe, structured and exciting environment. This is carefully balanced with outdoor education, field trips and other learning adventures. We offer and expect the best for the best…our children! 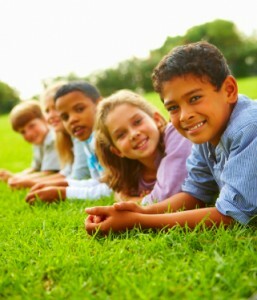 Each grade-level program meets the growth and development needs of your child. Pssst! Summer programs at Holly Springs School are awesome! In keeping with the high-quality standards we set for our full day programs for Infants through Pre-K, the Holly Springs School for Early Education summer programs are no exception! Our program is specially created to keep your child engaged, active and involved. Additionally, we carefully selected the most skilled and energetic staff to ensure that the day is active and successful. OUR SUMMERS ARE MORE THAN JUST FUN…THEY ARE AWESOME! !